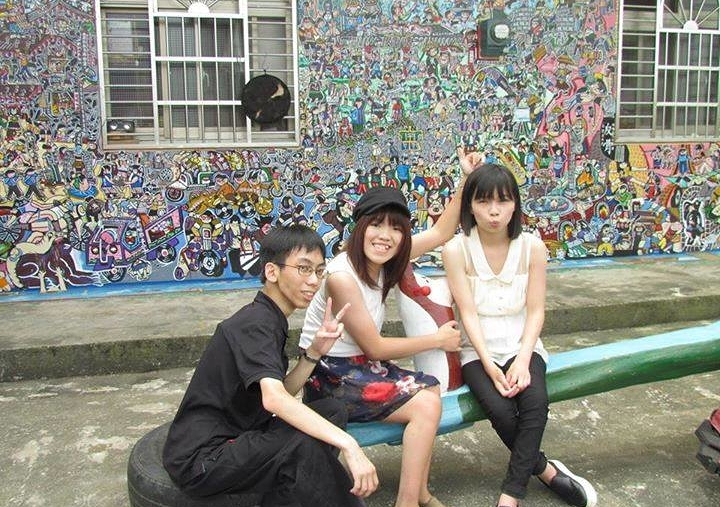 One of the most fun places of this trip to Taiwan was Zhudong Nei Wen. 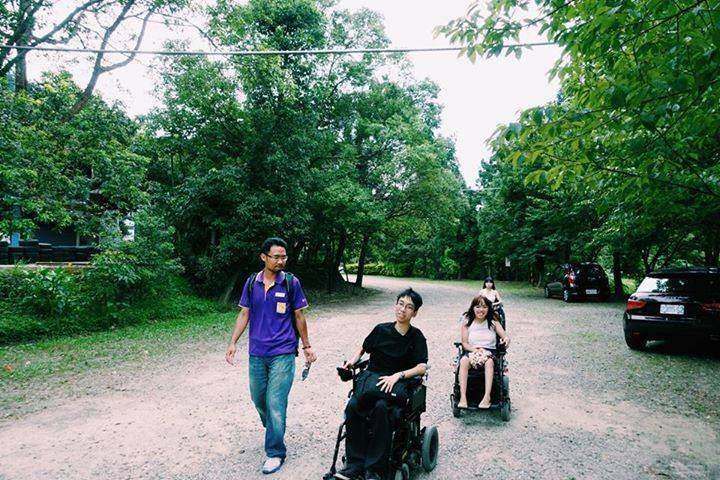 Without the staff who we called “older sister” and the "younger brother" from DuofuCare & Service’s, we could hardly have such a great joy, accessible environment, and a memorable one-day trip. On that day, a bus equipped with lifting devices waited for us outside our hotel a long time ago in the morning. It was so sweet that it saved us lots of transporting time during our trips! 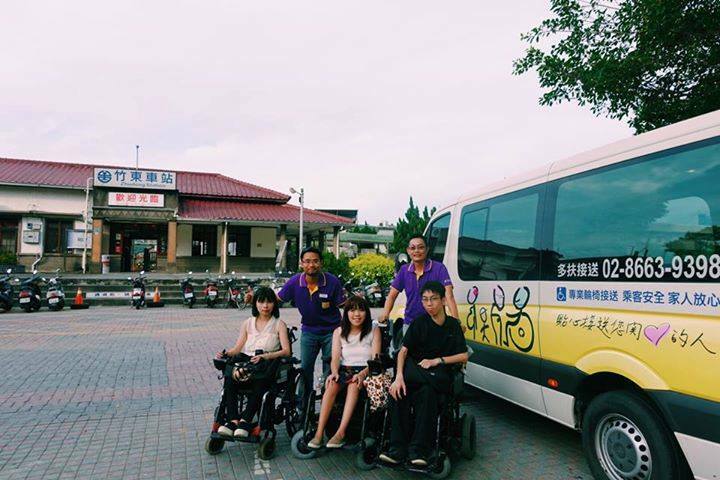 Duofu assigned three staff to take care of us in the one-day Zhudong Nei Wen tour. In addition to the conscientious driver who is a very friendly uncle (How is your cold? Rest well ah! ),we also had a very cute sister and a very young brother (we call him "younger brother" ah!). It was almost an one-on-one service, that’s extremely sweet and kind. Within a few hours, we went to a number of places, including the Zhudong Station, the Zhudong soft-bridge painting village, Nei WenOld Street, north of the mountains month, love the station and many other attractions, colorful itinerary. It is definitely impossible for us to make and arrange such a great tour only by ourselves. 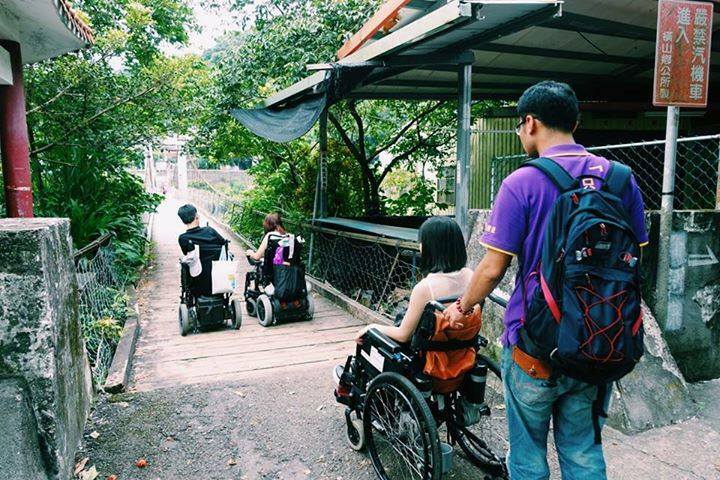 For wheelchair users like us, particularly that we come from the concrete jungle, getting close to the nature is never an easy thing. 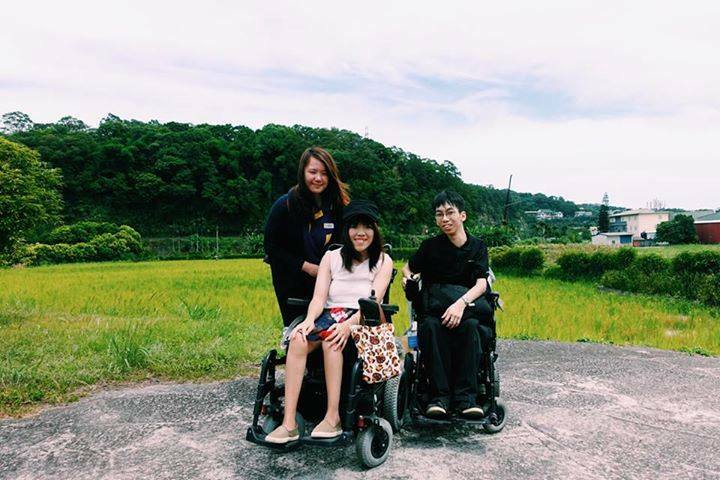 However, with Duofu, we eventually approached the countryside, got into the organic garden. 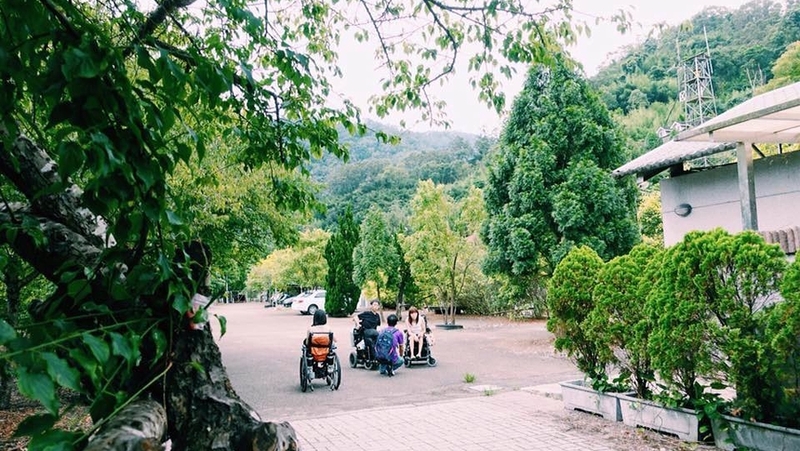 Duofu made us to have the opportunity to get close to the wild maneuvering in the mountains and won’t meet obstacles, let us enjoy the greenery of the rugged scenery and feel really grateful! The attractions in this trip were very fascinating attractions. The sister and "brother" were also very responsible. They took care of us when we needed help and assistance. Yet, we did not forget to have fun, to take photos, to laugh with each together. More importantly, it seemed that we got much younger than before, haha! The most surprising thing is that the sister and "brother" are good at taking photos and editing photos (haha!). They recorded our memories with images in every moment, so that even after many years we can still remember this wonderful trips, including the light, the shadow (mainly fierce sun, ha ha! ), the love, and all amazing things. Again, we are grateful for all of the effort Duofu gave us in this tour. We wish to have a gathering in the coming future! 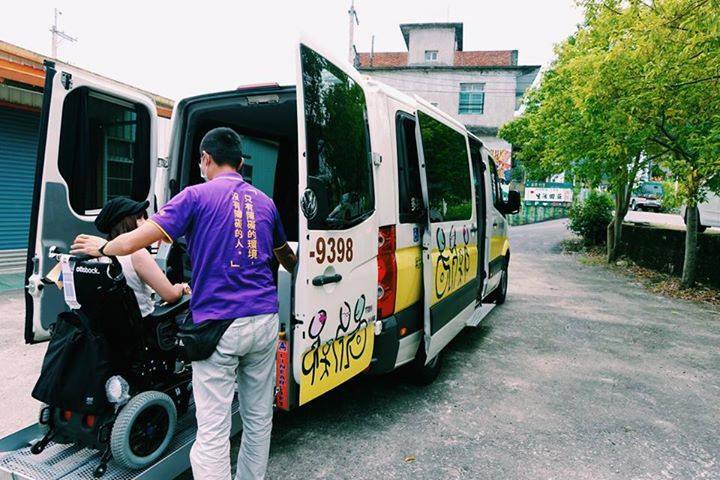 We also hope that Duofu Care And Service could develop more accessible and fun tourist routes, so that wheelchair users like us could have more opportunities to go to different wonderful places!